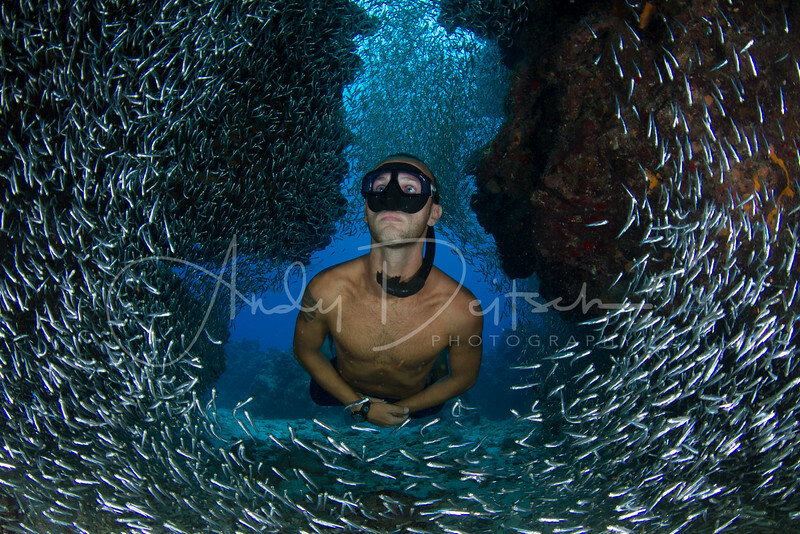 Mark Tilley free dives in Devil's Grotto, Grand Cayman amongst the silversides. Copyright (c) Andy Deitsch. All rights reserved.